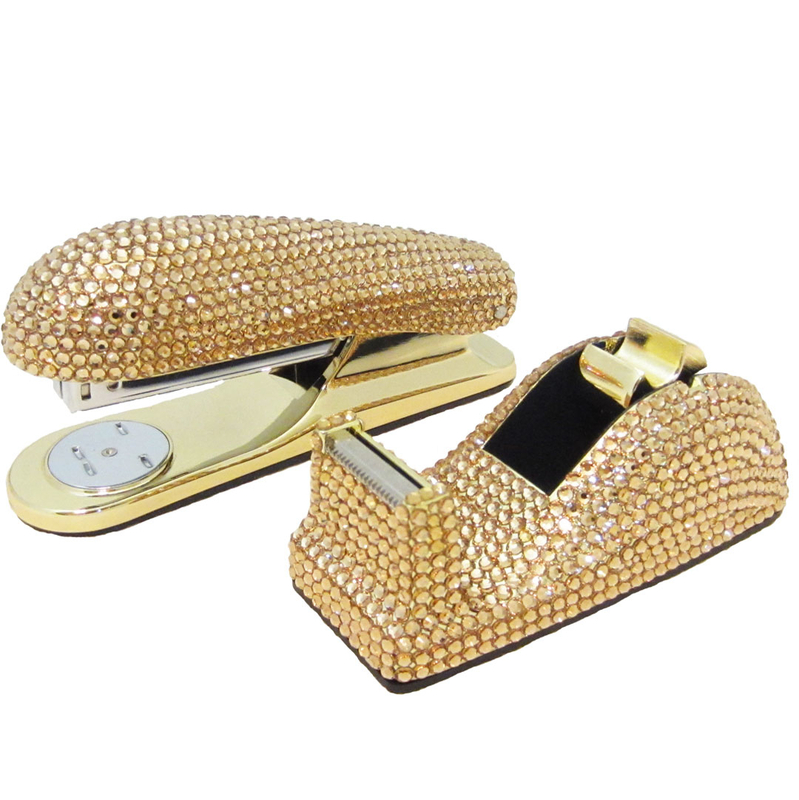 This luxurious Anthony David executive desk set duo has an all metal design and is fully covered with gold Swarovski crystals. 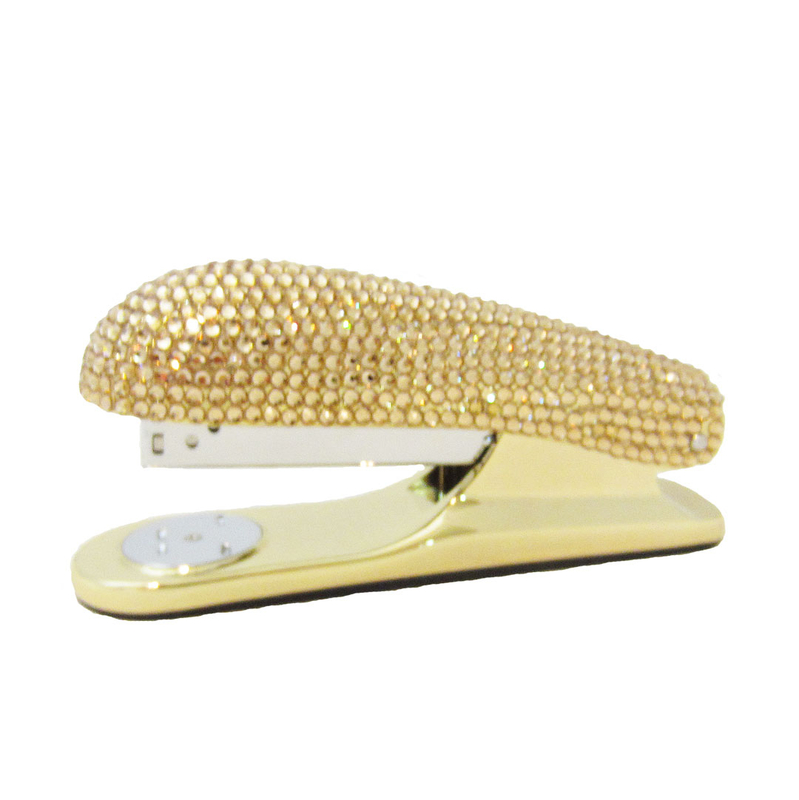 This crystal stapler and tape dispenser are sure to add a luxurious touch to any office. This set also comes in other colors. Tape dispenser (4 1/2" long by 1 5/8 tall by 2" wide). Stapler (5 1/2" long by 2 1/2" tall by 1 3/8" wide). This crystal desk set comes in other colors.